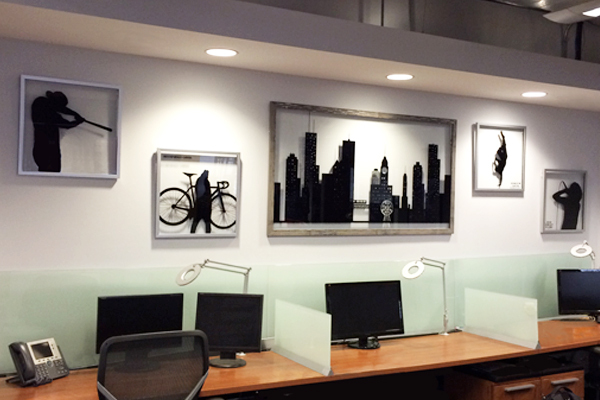 This collection of paintings was created for RedBull's downtown office. The Chicago skyline is large and centered, anchored by silhouette paintings of RedBull sponsored athletes and musicians. Each is handpainted on glass with new framing. From left to right: Kris Bryant, Nico Deportago-Cabrera, B-Boy Evol and Kitty Crimes. 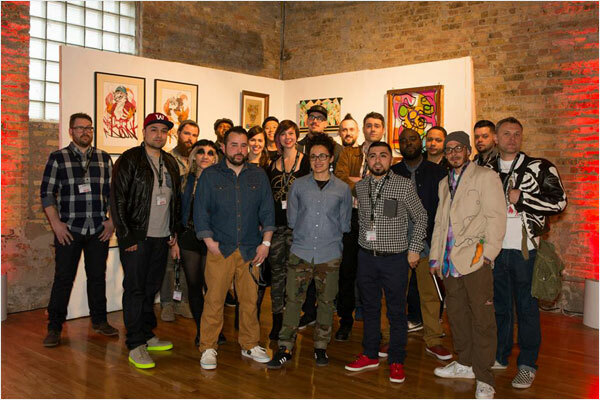 I was one of twenty artists selected to participate in the Red Bull Curates: Canvas Cooler Project Chicago. Each artist designed a canvas-wrapped cooler, and all were displayed at the opening event at Moonlight Studios in the West Loop. I received the People's Choice Award for my design.